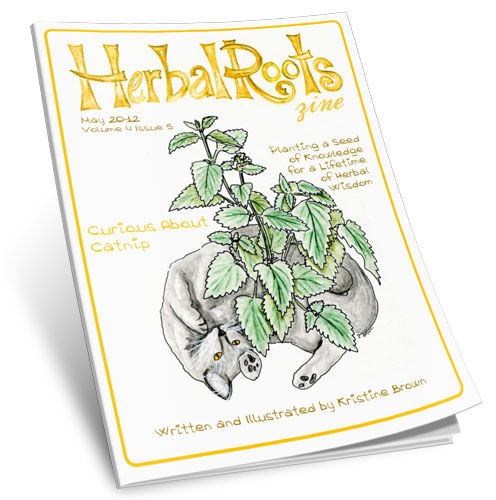 This month’s issue is all about Catnip! That wonderfully so misunderstood herb who is often destined to be stuffed into a cat toy offers us so much as herbal medicine! Learn why this herb is called “Nature’s Valium”, how this herb can soothe digestive problems and much more! We have lots of easy recipes and crafts plus lots of games and puzzles to make learning so much fun your kids won’t even realize they are learning all about Catnip! Songs and Poems: C-A-T-N-I-P, That’s What I Found Growing Here! 35 pages from Cover to Resource page.